With the aim of reinforcing its position in the Far East, Azimut Yachts has become a partner of H Marine International – this is the name of the tycoon’s group - to be the leader in the Indonesian nautical market: Azimut Yachts Indonesia is now reality. Azimut signed a dealership contract with a group of ten Indonesian tycoons carrying out activities in the industrial and manufacturing sectors, luxury car distribution and real property development, led by Mr. Hengky Setiawan, owner of the biggest telecommunications company in Indonesia and developer of the high end H Island, and Mr. Nurtjahya Tanudisastro, company leader in Electronic Home Appliances. The appreciation for the 'Made in Italy' quality and style demonstrated by the entrepreneurs - who represent a solid point of reference for the Italian company - has been an excellent basis for the achievement of the agreement. Azimut Yachts continues to expand its presence in foreign markets through an intelligent strategy of partnerships with new dealers. From here forward, H Marine International will act as the exclusive dealer in the region. The Azimut Yachts permanent show room will open soon in a prestigious area in North Jakarta and will rely on the immediate availability of a large number of boats. The Grand Opening event will be held in H Island in May 2014. Azimut Yachts is delighted to confirm the appointment of Simpson Marine as its exclusive dealer in Beijing and Tianjin, China. As part of a new multi-year partnership agreement, Simpson Marine will open a dedicated sales office in the capital, Beijing as well as becoming the exclusive dealer for Azimut Grande yachts across the whole of China. The dealer will also launch new service facilities for Azimut Owners in Tianjin, the largest coastal city in Northern China. 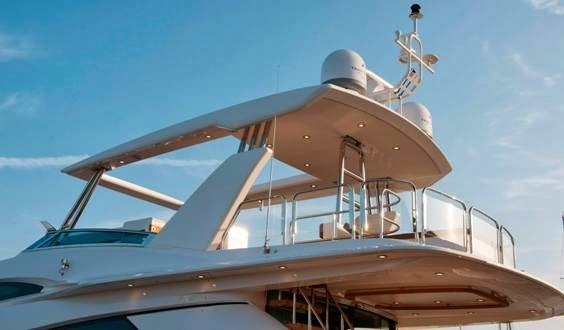 The agreement builds on the company’s long-established partnership with Azimut, the leading Italian luxury yacht brand. Simpson Marine has now represented Azimut Yachts in Asia for 27 years and has played a key role in building its reputation as the number one luxury yacht brand in the Asian market. 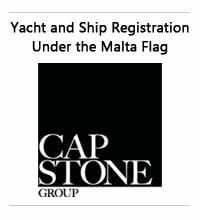 As a result of the deal Simpson Marine, which celebrates its 30th anniversary this year, will continue to represent Azimut Yachts as exclusive dealer in Singapore, Malaysia, Hong Kong, Taiwan and Guangdong, Guangxi and Hainan provinces in China and will additionally become Azimut’s exclusive dealer in the capital, Beijing and the coastal city of Tianjin. In addition Simpson Marine will become the exclusive dealer for Azimut Grande yachts across the whole of China. This appointment reflects the Dealer’s proven expertise in large yacht sales and reflects the growing importance of the Azimut Grande collection to the China market. The opening of sales and service facilities in Northern China will ensure that Azimut yacht Owners, many of whom are based in Beijing and Tianjin, will in the future benefit from Simpson Marine’s award winning after sales and support services. Simpson Marine provides the most comprehensive after sales and support service in Asia through over 15 offices operating across the region. Simpson Marine offers a wide range of after-sales services and assistance for all Azimut yachts in the region and is supported by Azimut Yachts’ own offices in Hong Kong and Shanghai. Simpson Marine plans to open its Beijing office later this year. It is China's most important exhibition for yachts and lifestyle, for Bavaria it was the first participation in the fifth China Rendez-Vous in Sanya. At this exhibition in the region of Hainan, Bavaria displayed both flagships, the Cruiser 56 sailing yacht and the award winning Virtess 420 Fly motor yacht. Both boats received great interest from the numerous visitors. The importance of the Chinese market for the German shipyard from Giebelstadt was expressed through the visits of Meik Lessig, Head of Sales and Aftersales and Constantin von Bülow, CEO of Bavaria. From the classic Bavaria polo shirt to the wind and weather- resistant softshell jacket, the Nautic Collection for men and women in Bavaria’s Shop opens with a spring offer for the new season to tease you with attractive prices and discounts up to 50%. You will find about ten different maritime outfits for ladies in the Bavaria Nautic Collection in the online store. With its fashionable and exclusive design, the ladies white Motor Boat jacket is the perfect outfit for going ashore in the cool dusk. Sunset at the helm of a Cruiser - or a Vision is best enjoyed in a warm ladies fleece jacket in turquoise. Or more casually in the sun with the women's T- Shirt Navy in the current "used look”? Also great with ten styles is the selection for men in the Nautic Collection from Bavaria, tailored to the exclusive taste of the skipper and crew. The men's Bermuda in the attractive technical look is designed to be fully functional for freedom of movement, of course, to match the fashionable rugby shirt in white. Together, the ideal crew outfit for the charter cruise or race course. The Bavaria Nautic Collection is the ideal and fashionable clothing for every Bavaria owner, fan, for motor boaters and sailors alike. Couach shipyard has just launched a 22 metres unit that will leave for Yemen delivery in July 2014. A second unit will be launched this month on April 28th. The Plascoa 2200 Fast Patrol will be used by coast-guards for surveillance missions 48H/48H at sea. Its principal qualities? Speed and resilience. Fairline Boats is set to continue its expansion in Africa, with three models from its luxury range recently sold to customers in East and West Africa by its South African dealership. Fairline recently celebrated an important milestone with the delivery of its first Squadron 65 to Fairline South Africa in Cape Town. The boat is destined for Luanda, Angola, and is the second Fairline model to be sold into the country, following a recent sale of a Targa 38. Fairline South Africa has also ordered a Targa 48 Open for a customer based on Lake Malawi in East Africa, due to arrive later in the year. With offices located in two of South Africa’s boating hotspots, Cape Town and Durban, Fairline South Africa is well placed to aid the brand’s continued development into Africa. The dealership is headed up by Derrick Levy, who has over forty years’ experience in the South African leisure boating market. To celebrate the model’s arrival, Fairline South Africa held a spectacular VIP event at The One & Only hotel on the Victoria and Alfred Waterfront. Guests from the local boating community were invited to explore the Squadron 65 against the stunning backdrop of Table Mountain. After a series of private viewings last week, the Squadron will now travel a further 1,648 nautical miles to Luanda. The 2014 edition of the Ferretti Group EMEA Dealer Meeting among world leaders in the design, construction and sale of luxury motor yachts finished third April, with a unique portfolio of some of the most prestigious brands in the global nautical market. The event, for the highly selective network of Ferretti Group dealers in the Europe, Middle East and Africa Area, saw the participation of almost 100 partners this year, from all of the main EMEA countries, including: France, Ukraine, Russia, Middle East, Greece, Romania, Israel, Bulgaria, Germany, Turkey, Spain, the UK, Croatia, Slovenia, Austria, Scandinavia, Holland, Belgium, Luxembourg, Monte Carlo and Angola. The 2014 three-day event was held in the evocative setting of the Group’s shipyards in La Spezia, Forlì, Mondolfo and Ancona and this year included an intensive programme of round tables, visits to the sites and team building activities involving all the partners in the Group with the aim of transferring the philosophy of the absolute Italian quality of the Ferretti Group to all of them, able to offer customers the highest levels of assistance available on the world market. This year the event also aimed to offer more details on the Group’s strategies and prospects for the coming years and, therefore, also included the participation of Ferruccio Rossi, the Group’s Chief Executive Officer, Mario Chessa, Ferretti Group EMEA Director, and, for the first time, even Tan Xuguang, Chairman of the Weichai Group and Chairman of the Ferretti Group. During the meeting, all the aspects on marketing strategies were discussed in depth, with presentations of the Group’s different brands and sales managers, with the aim of updating all the participants on the latest news in terms of technology and product range design. These were alternated with visits to the Group's shipyards so that the participants could physically touch the latest products including a preview of the progress of the work on the Riva Mythos, currently being built at the Ancona site. The dealer meeting, a must for the Ferretti Group’s activities, yet again confirmed the clear commitment to strengthening the sense of belonging and unity among the Group and the dealer network and to keeping its partners constantly at the forefront in terms of training. 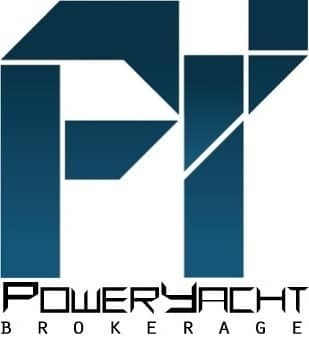 Stan Miller Yachts is now the new dealer for the Pacific Northwest in the United States. To facilitate continuity of operations, the new dealer will continue to operate at the Seattle retail store, previously managed by Grand Banks. In addition, the dealer has retained three Grand Banks NW team members: Harry Walp, David Bagley, and Leslie Simmons. Since the partnership began in the 1970s, Stan Miller Yachts has sold over 150 new Grand Banks yachts to the west coast. Grand Banks announced recently that not only has NW Explorations been appointed as a Grand Banks Authorized Service Center, but they will also be GB's sole Purchase-for-Charter partner. NW Explorations has a nearly 30-year track record of offering first-class customer service and support for yacht charters and owners, and has fourteen Grand Banks in its fleet. Strategically located in Bellingham, Washington, NW Explorations is equipped with highly-skilled and certified technicians, providing full marine services on all powerboats and sailboats. Our newly developed Purchase-for-Charter program allows potential GB owners the opportunity to purchase a new Grand Banks for placement into NW Explorations' charter fleet. The charter option will allow GB owners to generate additional income from their yacht while not in use. Heesen Yachts is proud to announce that the revolutionary 65-metre Galactica Star has been awarded Best Luxury Yacht at Arabian Business Lifestyle Awards 2014! Heesen Yachts is proud to announce that Galactica Star, the revolutionary 65m Fast Displacement 65 metre super yacht, has won the prestigious Arabian Business Awards 2014 in the category Superyachts. Arabian Business is the Middle East's leading weekly business title - focusing on the English speaking and Arabic speaking business community. Arabian Business provides weekly in-depth analysis of the latest regional and international news and its influence on business in the Gulf. On April 2, 2014 Arabian Business hosted its inaugural Arabian Business Lifestyle Awards. The event attended by over 600 of VIP’s at Dubai’s Montgomery Golf Club and was dedicated to distinguishing up-to-date trends and styles, from lavish cars to super yachts, arts, fashion, fine dining, sports and travel. Toby Scruby, Al-Futtaim Marine, Heesen Yachts UAE agent, received the prize by Arabian Business Lifestyle Editor Salma Awwad and Joelle Mardinian from Maison De Joell. Galactica Star has now won her fifth international recognition; after receiving the Best of the Best Award by Robb Report China, the Prix du Design from HSH Prince Albert II of Monaco, the Nautilus award from Yacht Design Magazine and La Belle Classe from the Yacht Club de Monaco. Hunt Yachts LLC is proud to announce the appointment of Capt. Sean P. Hickey as Regional Sales Director for the Southeastern U.S. and the opening of the new Hunt Southeast Sales & Service Office in Stuart on Florida’s Treasure Coast. This expansion is part of the strategic plan developed following Hunt’s acquisition by Scout Partners, parent of the Hinckley Company, in September 2013. The new Hunt office is within the Hinckley Stuart Service Center, renowned for excellent service, repower and repair to mariners for decades. Capt. Sean Hickey was raised on the South Shore of Long Island, New York. 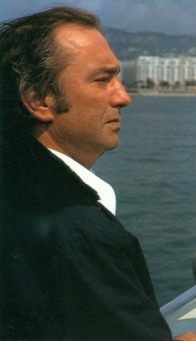 He spent his summers on the Great South Bay, where he developed his passion for boating and sailing. He sailed competitively for many years, winning the Long Island championship at the age of 17. In the early 1990s, he acquired his U.S. Coast Guard 100-ton Masters license and worked his way through school running small cruise ships and charter boats, as well operating and maintaining private yachts. The father of two, Capt. Sean comes to Hunt Yachts with more than 27 years experience in the marine business. He has managed successful boat dealerships as well as worked for boat manufacturers including Mako Marine, Scout Boats, and most recently, Everglades Boats. Capt. 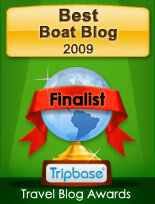 Sean will draw from his experience in all aspects of the marine business to add to the Hunt Yachts buying experience. Capt. Sean is based in Hunt’s new Stuart facility, which is located in historic Manatee Pocket at Florida’s “Yachting Crossroads” near the confluence of St. Lucie Inlet, the Intracoastal Waterway, and the Okeechobee Waterway, making it accessible from both Florida’s Atlantic and Gulf coasts. The new office will represent Hunt’s entire line of new yachts from 24 to 80 feet, offering a convenient showroom facility for those who do their yachting in Florida seasonally or year-round. In addition, Capt. Sean will travel to boat shows throughout the Southeast to display the latest Hunt models. Upcoming shows include the Suncoast Boat Show in Sarasota, Fla., on April 25-27. ISA Yachts is delighted to announce the launch of its new brand positioning and visual identity. A select group of brokers were flown to the ISA Yachts shipyard in Ancona on Tuesday 25 March for the unveiling of the new positioning and an insight into a new, broker-focused sales strategy. The new brand strategy is based on a proposition of ‘trusted to deliver’. This bold statement is a distillation of ISA Yachts’ values, and is showcased with a striking new brand identity. Luciano Bregola, Chief Executive Officer, brought a vast experience of automotive manufacturing processes when he joined ISA Yachts in 2007. ISA Yachts appointed sector specialists The Superyacht Agency to develop the brand strategy and identity following a competitive pitch. The rebranding coincides with a period of intense activity at the ISA Yachts shipyard in Ancona. 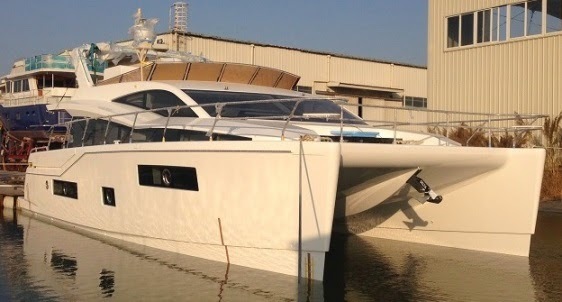 The ISA 43M Granturismo was launched on schedule on 29 March 2014, and yard will see the launch of three more yachts – ISA 66M GT, ISA 140 SPORT and ISA54M – between now and late June. Pacific Asian Enterprises, Inc. is pleased to announce the 2014 Nordhavn Rendezvous taking place this year at its new headquarters in Dana Point, CA. This will be the brand’s 6th Rendezvous and it is poised to be the most spectacular yet. Nearly 150 owners and special guests will be attending the three-day event happening May 2-4, 2014. What’s making this year’s Rendezvous such a huge occasion is the milestones being recognized throughout the weekend celebration. Most notably will be the commemoration of the 10th Anniversary of the Nordhavn Atlantic Rally featuring a festive dinner/dance and ceremony. The company will also be marking cruising achievements by several of its owners who have accomplished landmark mileage totals on their Nordhavns with a Distance Pennant awards presentation. The Distance Pennant program was initiated by the company in 2008 as a means of tracking the mileage Nordhavn owners have traveled on their boats. The current total stands at more than 4,880,000 miles. In addition to these celebrations, the Rendezvous will include an extensive seminar series spanning two days, fun parties, as well as an Exhibitors tent which will serve as a mini-boat show featuring select sponsors of the Rendezvous who will show off their latest wares, offer information and answer questions. At the same time, Nordhavn’s Southwest Sales office will play host to an Open House of several of its models for invited Nordhavn prospects to inspect. The rendezvous has been months in planning and could not be pulled off without the immense assist from Nordhavn’s key sponsors: IMTRA Corp., Cascade Engine/John Deere, Crown LTD/Ardeo Designs, ABT Trac, Steelhead Marine/Pacific Coast Marine, Hayden Insurance, Northern Lights, Marina Coral, Aegis Marine, Jeddy’s Interior, SeaVision Underwater Lights, Alcom Electronics, Prime Fabrication and Outbound Yacht Services. In the vein of the Nordhavn 120 delivery comes another transit of the South China Sea, this time by Nordhavn 86 Koonoona. Like the trip undertaken by her famous big sister, Koonoona will set sail from the South Coast factory in Xiamen, China, to be delivered to her owner and will make a stop in Hong Kong. The trip will also be crewed by PAE staff including president Dan Streech, project manager Trever Smith, salesman Eric Leishman, as well as webmaster and graphic artist Doug Harlow, who will document the journey on nordhavn.com. And, just as was the case with the N120, Koonoona’s owners are repeat Nordhavn buyers; this owner, who hails from Asia, previously owned a Nordhavn 62. Last summer saw the US luxury yacht builder, Outer Reef Yachts, raise money at their annual Owners Rendezvous to support the most treasured national asset in the USA – the men as well as women of US armed forces, through Truckin 4 Troops. Based out of Maryland, Truckin 4 Troops represents a 403c group, dedicated to helping wounded service men and women at the most personal level. Thanks to support from their yacht owners and industry associates, Outer Reef Yachts helped Truckin 4 Troops acquire a custom pickup truck for Travis Mills, a Staff Sergeant, who lost parts of all four of his limbs during his third tour in Afghanistan. Outer Reef has not stopped there – they are now on a campaign to help Truckin 4 Troops raise money for their Land 4 Heroes Project. The Project hopes to raise enough money to buy and develop a track of land to serve as a retreat for patients and their families housed at Walter Reed Army hospital in Bethesda, MD. Saying Riva means saying “Dolce Vita”, the finest craftsmanship, undisputed quality and innovation. A history of success stretching over more than 170 years. Design has always been a reason of success and pride, that distinctive element that makes Riva boats recognisable and unique. Now the brand has decided to undertake a new adventure, exploring different sectors such as that of ‘home experience’, producing innovative design products. The world premiere of Aquariva took place on 8th April during the “Salone del Mobile” 2014 at the Larusmiani concept boutique via Montenapoleone 7, Milan. Aquariva is a table lamp inspired by the classic “searching light” of 1960s boats, such as the Aquarama, Tritone and Ariston models and which is now present on the famous motorboat of the same name, Aquariva, a timeless icon still built by the boatyard. The lamp has been designed by Mauro Micheli of Officina Italiana Design, who designs all the Riva range of boats; Aquariva looks to the future and re-interprets tradition in a contemporary key, in line with Riva’s DNA. On top of the “searching light” itself, the stem and the base also clearly recall the elegance and sobriety of Riva boats: the stem is available in mambo (the fabric used for the upholstery) or in mahogany, two characteristic materials used on the vessels, while the base, made of three overlaid sections of steel, recalls the famous bow of the Aquarama and Aquariva motorboats, and once opened it recalls a boat’s propeller. A shared dream and love of the ocean has led this Australian couple on a journey of some 36,000 nautical miles over seven years, and in late May they will share their remarkable adventures at the 2014 Riviera Festival of Boating, held from May 22 to 25. Peter and Narelle Williams are avid seafarers and together they are living the Riviera dream on board their 47 Open Flybridge, Kaos. They have watched thousands of sunsets and basked in the serenity of some of Australia’s most tranquil anchorages, and every year they make the annual pilgrimage from their home in Port Stephens on the mid-coast of New South Wales to Cairns in tropical North Queensland, a distance of 1100 nautical miles. Every time they cruise out of Nelson Bay and clear the heads of Port Stephens bound for another North Queensland anchorage, Peter said they felt excited to be on their boat and beginning their next adventure. Narelle said she had the most amazing experience hand feeding a turtle on their last trip to Cairns. Michaelmas and Upolu Cays National Park is located 41 kilometres north-east of Carins and is the largest breeding ground for seabirds such as sooty terns. Narelle describes the Cays as a beautiful and pristine bird sanctuary, which is popular with the tourists. After clocking up 36,000 nautical miles on board their Riviera 47 Open Flybridge, one would think they had travelled around the world one-and-a-half times, which is an equivalent distance according to Peter. But for this Aussie couple, cruising up the east coast of Australia to their tropical North Queensland sanctuary is a dream come true, and they look forward to sharing these adventures at their Living the Riviera Dream seminar held on May 22, 23 and 24 from 1.30pm at the 3rd annual Riviera Festival of Boating. The Festival is 2014’s ultimate boating event with 76 educational and social acitivities held over four days at Riviera’s 14-hectare state-of-the-art Coomera River front facility – the largest boat building facility in the southern hemisphere. The Festival of Boating offers on-site parking and easy access with many owners able to arrive by boat and pre-book a berth for the Festival. The 3rd annual Riviera Festival of Boating will present a cirquetacular line up of social events held over four days from May 22 to 25 that will bring a sparkle to Festival goers day and light up their night with a feast of world-class entertainment. The Festival is 2014’s ultimate boating event with 76 educational and social activities held over four days at Riviera’s 14-hectare state-of-the-art Coomera River front facility – the largest boat building facility in the southern hemisphere. Riviera owner and chairman Rodney Longhurst said Riviera was renowned for its events and high calibre Festival Gala dinner and this year would be no exception. The social events begin on the Friday of the Festival with a special Champagne Master Class luncheon for the ladies. This fully catered lunch will be bubbling with interesting facts about champagne and cork popping fun as the experienced, effervescent and passionate host, Amanda Reboul shares her profound knowledge and enthusiasm for champagne. Amanda will conduct champagne tastings while providing an overview of the champagne region and how it is made over lunch. Amanda will cover non-vintage, blanc de blanc, blanc de noir, a rose and a vintage to give the ladies a true insight into the different blends and an understanding of what the different grapes do to change the taste. Riviera’s director of brand and communications Stephen Milne said Friday’s social activities were the perfect way to start the weekend. On Friday evening the entertainment at Riviera really gets underway. On Sunday, the ever-popular Master BBQ Chef Challenge will be held at the Riviera Yacht Club. Mr Longhurst said this event was a fun and palate pleasing way to put your boat barbecue culinary skills to the test and conclude the Riviera Festival of Boating. Last year’s registrations were up by more than 50 per cent, which has prompted Riviera to expand the events program with a series of new seminars amongst more than 76 individual educational and social events held over the four days. The Festival of Boating offers on-site parking and easy access with many owners able to arrive by boat and pre-book a berth for the Festival. Patience certainly paid off for the crew on board Riviera 56 Enclosed Flybridge, The Battler, who won the 2014 Riviera Port Lincoln Tuna Classic, which was held from April 12 to 13. Skippered by fishing guru Captain Bob Jones, who has more than 29 Cairns marlin seasons under his belt, the team on board The Battler was up against some of Port Lincoln’s and Adelaide’s finest and most experienced anglers. With more than 25 boats, including 12 Rivieras, catching and releasing 248 southern blue fin tuna weighing between 10 and 15.5 kilograms over the two-day tournament, The Battler certainly had some fierce competition. Captain Bob Jones said in his 30 years experience he had learned a lot about patience. 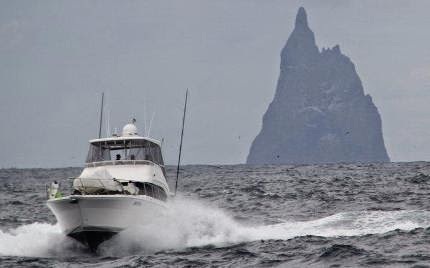 The team on board The Battler caught and released 48 tuna over the two days to win Champion Boat Overall. They also took out prizes for Champion Male Angler Overall (Tim Cooke), Runner-up Male Angler (Adrian Bothur), and Champion Boat Day One. Event organiser Peter Teakle said the Riviera Port Lincoln Tuna Classic was now the largest off-shore fishing tournament in Southern Australia. At 7.30am on day one of the tournament, the historic tuna boat The Tacoma (circa 1948) led the fleet out of the Harbour with a spectacular sail past. When the classic tuna trawler, credited as being the founder of the Port Lincoln Tuna fishing industry, sounded her horn it marked the start of the race to Memory Cove and fishing begins at 9am. Captain Bob Jones said he felt privileged to be invited to fish in this high calibre tournament and one of the highlights was skippering Mr Teakle’s 56 Enclosed Flybridge during the sail past. The Runner up trophy was awarded to the team on board Majessnik, a 42 foot Riviera for catching and releasing 30 fish, Champion Trailer Boat was Liquid Asset for catching and releasing 16 fish, and Runner up Champion Trailer Boat went to Dark Star for catching and releasing eight fish. The prize for the heaviest fish weighing 15.5 kilograms went to Peter Smyth on board Gladiator, Champion Male Angler went to Tim Cooke on The Battler for catching and releasing 16 fish. Runner Up Male Angler went to Adrian Bothur on The Battler for catching and releasing 14 fish. Champion Female Angler was awarded to Meghan Tapley on board Noble One for catching and releasing eight fish. Runner Up Female Angler went to Susan Tarbotton on board Tari for catching and releasing seven fish. Champion Junior Angler was awarded to Ben Kapur on board a trailer boat for catching and releasing six fish, and Runner Up Junior Angler went to Ryan Hazelgrove also on board a trailer boat for catching and releasing two fish. Riviera’s director of brand and communications Stephen Milne said that Riviera was very proud of its long association with the Tuna Classic. Event organisers are already planning next year’s Riviera Port Lincoln Tuna Classic which will be held on the 11th and 12th of April and look forward to another successful event. The success of Selene Yachts in Europe has meant that the European network of sales and service points has been growing rapidly. We previously already had offices in Croatia, Slovenia, France, the Netherlands, Germany and Norway. An agreement has now been reached on a new sales office in the UK, too. Clive Stratton of Stratton Marine will represent our products from his base in Southampton. The Selene Yachts Europe dealer team is pleased with the addition of this new sales office under the name Selene Yachts UK, and looks forward to a pleasant cooperation with the Stratton Marine team. April 1 marked the 50th Anniversary of the Viking Yacht Company. It was on this date in 1964 when co-founders Bill and Bob Healey opened the doors of the Viking Yacht Company. Today Viking is the world's number one builder of boats ranging from 42 to 92 feet. With more than 4,600 Vikings built over the past half century, there are legions of stories about the boats, about the people who built them and about the people who own them. While it was not easy in the early days, the Healey brothers were eager for the challenge. Starting with wood boats, the switch to fiberglass in 1971 signaled to the industry that the two brothers were in it for the long haul. As a team, the brothers were inseparable and awesome in their commitment to the people of Viking and the industry. In 1991 through 1993 when the luxury tax reared its ugly head and was killing thousands of jobs throughout the marine sector, Bob Healey ramped up the forces and spearheaded buses packed with unemployed boat builders who traveled to Washington to plead the injustice of the bill. Bob was instrumental in getting the bill repealed. Hitting the 50 year mark with a full order book, a new flagship 92 Convertible on the way, the 75 Motor Yacht about to join the line and more new models waiting in the wings, Viking is enjoying the view from the top of the mountain where we plan to stay. During a cake cutting ceremony with Bill and his son Pat Healey in the company's cafeteria on Monday with 120 long time employees, Rudy Dalinger a 49-year Viking veteran remarked, "We started with wood boats, dirt floors, and no heat and today we have five modern buildings, a tri-generation plant for heat and power, and we're building 92 footers. We've certainly come a long way!" The Viking Key West Challenge held last week in Key West to celebrate 50th Anniversary was a resounding success for everyone in the Viking family. More than 350 people including Viking staff, Viking yacht owners, their families and friends and valuable vendors from the past five decades spent two glorious days fishing, enjoying a lay-day pool party, a scavenger hunt and an eye-opening photo contest along with spectacular weather and plenty of Key West hospitality. Some of our fishing winners included: Griffin Hester, Top Junior Angler aboard the Back of Five, Renee Dunn, Top Lady Angler, aboard the Rajin Cajun, Fritz Anderson, Top Angler aboard the Reel Epidemich, Reel Epidemich, Top Boat. The fleet released 103 sailfish and weighed in dozens of mahi mahi, kingfish, blackfin tuna, cobia and wahoo! Go team! Zeelander Yachts are delighted to announce that Andrea Armas has recently joined the team as Vice President of Sales. With a keen entrepreneurial spirit and a deep belief in delivering the very best, Andrea brings a wealth of international experience with him and will be an essential part of Zeelander Yachts expansion over the coming months. An integral part of Andrea's position within Zeelander Yachts is to not only to develop the brand but to also build on the high level of customer service that Zeelander offers its clients across the globe. Following on from the successful launch of the Hardy 40DS at the London Boat Show 2014, this British builder is proud to announce the project of the Hardy 50DS. Using similar profiles lines as the 40DS, renowned Hardy Designer Andrew Wolstenholme has again created a tremendously striking explorer yacht. With the hull based upon the 50, Hardy have once again been uncompromising when it comes to sea keeping, retaining its core values of building seaworthy boats that are meant to keep safe, secure and confident when the weather gets heavy. Unlike her smaller sister the 50DS will have twin engines as standard with 800hp MAN being the power of choices and pushing speeds of 27 to thirty knots. Different engine options will be available for those owners who wish to achieve a longer range at more modest speeds. As has been proven in the past the Hardy exterior styling will appeal to motor boats men as well as the sailing yachtsmen reverting to power. 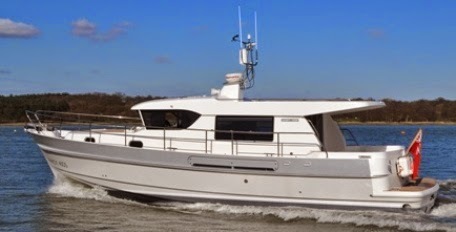 A flybridge option versions will be offered as an option. The interior styling has once again been created and styled by award winning stylist Chris Lock of CSL Yacht Design with whom Windboats have enjoyed a solid working relationship for many years. This would be the third Hardy project for Chris having styled the interior of the 40DS and a new bespoke interior for a client’s new 42. For the 50DS Chris has designed a three cabin arrangement, comprising two twins and a double with twin heads. One of the heads will act as a day head and an en-suite for one of the twins. The saloon incorporates a single level seating and dining area capable of accommodating eight guests in comfort. On the port side of the saloon are ample lockers that will also house a drop down TV system if required. Foldaway glass doors at the aft end of the saloon open up into a large cockpit area which once opened create a vast saloon for entertaining. At the forward end of the saloon is the galley and helm area. The galley is situated to starboard and additional seating on the port side. Alternatively this can be modified for additional work surfaces or lockers. A pair of suspension seats are supplied at the helm and navigation area for comfort at sea. On the starboard side, forward of the galley, is a sliding access door to the side decks. Interior styling and the choice of timbers and colors may be modified to suite owners personal choices. Two years after the first plans for this new model were began, Sanlorenzo has just launched “O”, the first SD112 unit a 33 meter semi-displacement super yacht in composite material, made to measure according to the tastes and the style of her owner, like every Sanlorenzo since 1958. After the recent launch of the astounding SL118, 37 meter planning hull presented at Rapallo during the Sanlorenzo Elite Days, the SD112 made her first sea debut. The launch ceremony was attended by her owner who came from the Central America with his family and friends to celebrate the important event along with everyone from Sanlorenzo that contributed in her construction. The SD112 was built to enhance the historic Sanlorenzo semi-displacement fiberglass line named SD, with a model that position itself neatly between the two existing models SD92 and SD122, so as to complete the SD range and to offer a product that provides the best aspects of both. The experience gained by Sanlorenzo with the more than 30 SD models launched, allowed the shipyard to plan a flawless design. As a testimony to a great balance achieved with the SD112 model in terms of design, volume and performance, as of today six SD112 units have already been sold, even before the official launch of “O” and the next three hulls are in an advanced stage of production. Though maintaining the unmistakable features of the SD range, such as the curved doors on the sides and the lateral window shape, the SD112 offers innovative solutions like the fold-able terraces in the salon area that open out seawards and the door which connect the huge cockpit to the salon that, once completely opened creates one unique living area between outdoors and indoors. The superstructure has three decks, but thanks to a series of stylish design innovations it has the slim line appearance of a two deck yacht. The sundeck is very roomy and “O” even accommodates a large Jacuzzi, totally surrounded by sunbeds, while the unmistakable Sanlorenzo SD “funnel” brings to mind the thirties transatlantic liners. “O”’s interior design are completely chosen by her owner, in a modern style incorporating prestigious Made in Italy brands, like Edra, Minotti and Paola Lenti sofas, Enzo degli Angioni fabrics and Penelope Oggi leathers. The Tanganyika walnut teak placed on the cockpit ceiling is original and unique, as is the artistic covering in resin and metal used on the shutters of the large salon wardrobe: an authentic piece of art by Italian studio ORK. The main deck, besides the salon, also permits a sumptuous owner’s cabin that dominates the bow area while the lower deck can host another four guests cabins and the crew quarter with seven beds. Storm Yacht from the Netherlands presents its new World wide showroom. Storm was founded in 2010 by Rob Van Kesteren and Corne Knippels. 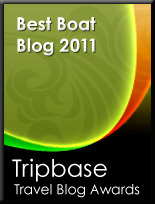 Both founders have long time yacht industry experience, with Knippels starting in 2001 and Knestern in 2005. Storm Yachts are designed by two renowned Dutch designers Frank Laupman from Omega Architects and Niels Moerke from Van Oossanen Naval Architects firm. Currently Storm have two innovate range of Yachts the X and the Y, which produce six models which start at 53 and end at 100 feet. Storm Yachts new web site take you around with the following buttons; Home, About Us, Contact, Stormletter, and tab for each of the models up top. Storm has also its social; Twitter and Facebook pages with a link on the bottom right of the entry page. These are exciting times over at Jaguar Catamarans, who after announcing its ambitious project in 2013, start the first quarter of 2014 by launching its first model the JC48 Flybridge. A first model launch from a new brand is always something special, and while the people behind Jaguar have long standing experience in the marine industry I am sure this had a unique significance to them. The standard layout of the Jaguar Catamarans JC48 Flybridge offers loads of spaces and three double cabins all with private en-suite shower heads layout. The owners stateroom is a medium level and full beam located to fore, which make best use of the six meters width available. Truth is you would need to go much larger to find the same space in an owners room. Jaguar is also offering a more charter friendly or big family four cabins version, but so far no layout are shown for this. The living always a strong point of catamarans for the spaces offered, in the JC48 is also very spacious, with a helm station located to starboard followed by a dinette, while opposite to port side on entrance we have an astern galley serving easily both saloon and aft deck, and a relaxing passenger sofa forward. Estimated performance figures are also interesting considering the not so large engines of the JC48, with top speeds estimates standing at 20 knots from the standard Yanmar 260hp, and going up an extra five nautical miles per hour with the optional 370hp units. Dyna from Taiwan showcases the 58 project, an interesting flybridge motor yacht of European inspiration looks and layout. In this very competitive segment, mostly coming from European boat builders, the 58 is an interesting three double cabins motor yacht with a large full beam owners cabin amidships, and a master bed looking to port side. To fore we have a VIP suite, and a twin double berth third cabin is located to starboard. A single berth crew cabin with shower head is aft. Measuring over nineteen meters, the Dyna 58 gives more then its model identity suggests, and this gain of space seems to show in its main deck and flybridge. The interior main deck features a traditional two step split level layout with a middle located galley, and an entrance with a large C-shaped sofa. The flybridge looks also a spacious affair and features a G-shape dinette to aft, with the helm to starboard, and a passengers L-shaped settee opposite. 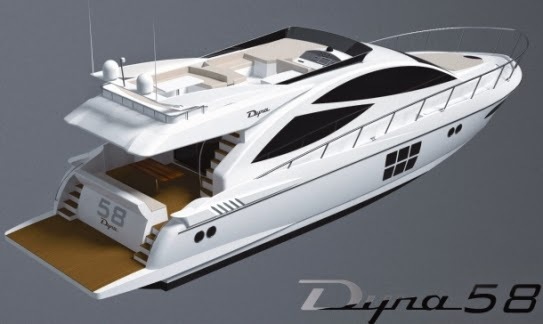 For the Dyna 58 power would be a bit my concern with 600hp Cummins engines seeming on the small side for a 63 feet over all motor yacht, with a planning Vee shape hull, and a weight of 28 tons. So far Dyna seem also not to offer other power options. Designed to dismiss clichés, the Palmer Johnson 210 Sportyacht features all the spaces of a traditional tri-deck yacht but gallops to a 28 knot top speed, cloaked in the elegant flowing exterior lines of the much heralded Palmer Johnson SportYacht design created by Dan Lenard of Nuvolari-Lenard. The signature unbroken line from transom to bow remains to give side-on flow while the finessed overall proportions means that the beauty of the yacht is enjoyed from every angle. There is a heroic unswerving commitment to aesthetics in this design which is enhanced by top craftsmanship and performance, giving the perfect balance to the package. The 210 Sportyacht once again uses innovative design to influence the owner and guest experience on board. Focused on elegant yet relaxed lifestyle, this stunning 64m balances and blends airy indoor areas with generous outdoor deck spaces, creating an open environment that emphasizes panoramic sea views while ensuring privacy. Dariel is a brand which has gained a reputation for building high quality tenders of various lengths. As it happens with most builders Dariel sizes had been getting larger in recent times and here comes an important yacht range, which so far has three models all at the moment in project stages. The D50 DarielUp is a design from Italian Mario Alfani, and his Centrostile firm. The D50 DarielUp presents itself as a luxurious day yacht with central type console followed by a large cockpit deck all dedicated to entertainment in the sun areas taking two thirds of the length. The below deck is a custom choice with Dariel offering three layouts; a tender version, two double cabins, and a VIP. Hull one is a tender version and features a lower deck with several refrigerators, galley, shower head, and a large four meter dinette. A separate crew cabin with full height shower and a head is featured in all models. Power choices are four engines type choices; quadruple Volvo's 435hp, twin Volvo 900hp, or MAN 1200hp. Both the Volvo engines are IPS pods only, while the MAN engines come with a choice of Jets, or surface drives. Top speeds are an estimated 55 knots. For 2014 Hinckley is bringing a new power propulsion option to the T48 Talaria traditional down East looking boat. Traditional and standard the T48 Taralia is offered with a pair of Hamilton HJ 364s jet drive powered by twin Volvo 725hp engines. Now the T48 Taralia comes with the option of the Volvo IPS pod drives in this case and for this model being the 800 series. Impressive in all this is that while the T48 Taralia was designed as a jet boat with the IPS pod option its cruise is expected to be 33 with a top of 35 knots, same numbers as the jet drive boat but with two hundred less horsepower in total. It's been an important start for 2014 since Canadoes announced its new expedition Oceanic range, selling and currently building two of the six vessels available. The Oceanic 120 sits in the middle of the range and is a high tech composite construction. Powered by twin MTU 2600hp and twin Auxilia 120 kW electric engines, the DiElec short term for diesel electric can achieve a top speed of 23-knots. But that’s not her most impressive attribute, when cruising at 8-knots on her electric engine the 120 DiElec’s ridiculously low fuel consumption figures have to be seen to be believed. As with all models across the Oceanic range, the entire upper deck is devoted to the owner’s suite. On the lower deck four additional cabins accommodate guests in considerable comfort. Stowed in the Oceanic 120 DiElec’s central garage is a 6.5m tender and a jet ski, while the aft garage can store two additional jet skis. With flexibility typical of the Oceanic philosophy, the 120 DiElec can also be designed with on-deck tender stowage, providing the opportunity to utilize the garage space as an over-sized beach club. 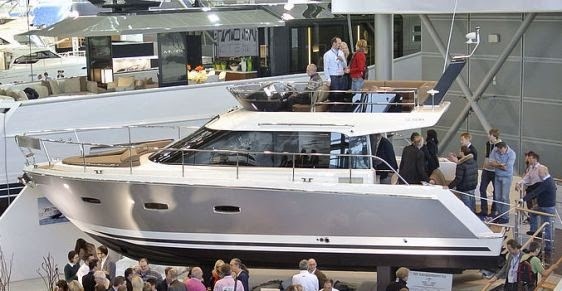 Launched at Dusseldorf the new F380 is the first model to come from Sealine new German owners, the Hanse Group. Announced as the F37 project a few months before Sealine was declared bankrupt by its previous American owners, this model is based on the hull of the SC35 with a different super structure featuring a flybridge dual helm design. For those that do not know the SC35 featured a hull bottom shape design of deep Vee expert American Michael Peters. Apart this important note the Sealine F380 looks to be a spacious flybridge motor cruiser, a usual trait of the previous British now German owned and located brand and features a typical classic two cabins, two shower heads layout. The owners room is located to fore and features a spacious en-suite shower head to star-board. A twin berth guest cabin is located to starboard, while on the other side of this is the galley. This means that the main deck of the F380 is fully dedicated for a relaxed environment being it dining or chilling. Power is twin Volvo engines starting from 260 and going up to 330hp. From the end of last year Azimut already started to show signs that 2014 will be an important renewal time for its line up, announcing three new projects during the Genoa boat show. The 50 is one of the models upcoming by the World famous Italian builder, and shows Azimut re-challenge itself in a model which previously has always sold over the hundreds of units in a few years production run. This new 50 major selling point will be its full beam owners midships stateroom. Its interesting to note here that while Azimut pioneered the full beam amidships cabin in the smaller yacht sizes with the 55 in 2000, the Italian marque never actually did this in its fifty feet sizes or smaller. The smallest Azimut featuring a full beam owners cabin was the 53 recently updated to become the 54. This new 50 changes this and features a full beam owners cabin, plus two other guest cabins, these being a VIP forward, and a twin with bunk berths to starboard. Styled outside by long time Azimut designer Stefano Righini the 50 features similar single piece styled view windows reminiscing the 2012 launched 55S model. Interesting to note how these should work very good with the split level saloon which features a lounging entrance saloon and a dinette to forward port side. Another plus point in the new 50 will also be the settee in the fore deck, something also unusual to find in most modern motor yachts of similar sizes. In the last year Hardy has made important forward movement in renewing itself and becoming a British builder specialized in explorer type cruisers and yachts. Hardy boats renowned for a strong construction and good sea keeping, are now also starting to look modern outside, what could prove an important statement from the North Walsham builder. The 40 DS comes after the launch of the new 62 flagship from Hardy, a model which shown a lot of attention from the media and experienced boaters alike. The 40 DS is a two cabin boat with an interesting living saloon on the main which features a spacious C-shaped dinette with galley opposite. Helm station is very unusual for a British builder located to port side. The 40 DS features a hull based on the Hardy 42, with a modified version in the optional twin engines version. Standard power is a single Yanmar 440hp. Fairline recently presented an important update to the 78 Squadron Custom now available with an integrated fixed flybridge hard top surrounding an electric retractable canvas roof. The new roof brings a permanent structure to the already commanding flybridge, with large sunbathing area and plenty of space for open-air entertaining. The new hard top model recently concluded sea trials at Fairline's test facility in Ipswich. The first boat has already been handed over to her new owner and the second left the test facility last week. Fairline celebrated the launch of the one hundred 78 Squadron model earlier this year at the London boat show. The original eleven year old flagship was first unveiled to the world in 2003 first as 74 Squadron, at a prestigious event near the Tower of London. The model was in 2007 updated as the 78 Squadron Custom, here the most visible change being extended up and down moving bathing platform, but more importantly a full customization set, this move increasing the success of the model twice fold. Since then the 78 Squadron Custom has become one of Fairline’s most successful and iconic motor yachts with a very loyal following. Since the custom move the 78 Squadron have received over ten thousand individual customization's, with some being very much an important change as the addition of fin stabilizers on some models. Launching its new very important L650 Fly flagship at the just past Miami 2014 boat show, Sea Ray is fast to expand its Luxury line with a new upcoming model. This new project is a sister model to the just launched L650 Fly minus the flybridge hard-top. That means that the L650 has two important differences; no fly-bridge but an opening glass sunroof which fills the main deck with natural light, and a different aft deck. The aft deck of this L650 features a C-shaped settee resting on the port side, and one way passage to and from the bathing platform at starboard. For the rest the L650 sport yacht keeps the same great features of the Fly version as the spacious four cabin layout below, and super split level main deck with one of the largest open plan galley in this size of boat. Its been a stable market in the last year or so, and the large super yacht market of eighty feet plus is seeing again growth with important orders coming in at various yards around the World on a weekly basis. Still the sub eighty feet market is still struggling, and has been far away from it glorious days of more or less a decade ago. To make matters for boat builders more difficult buyers in this size between fifty and eighty feet are spoiled for choice, with a lot of hardly used boats being a huge discount from a new boat price. This being said I ask if is it time for production boat builders to re-look at themselves in this size. For example if you go buy a new car today which costs thousands, a customer has on order a lot of options coming from the standard lists. Go to order a boat which costs hundreds of thousands, and takes months to build and be delivered and even if you request a color change on the hull this will be an important option with a price increase. Some production builders will also say that this cannot be done. If boat builders want to make a return to more new boat clients in this important large size they should have basic options as standard; color changes in normal colors, wood trim choices should not be on the price up list menu. A standard color change in many new builds does not change much of the production procedure, and even wood trim choices if made onto a plan would not affect much.